Our platform can verify, manage & store all your qualifications, police checks, licences & compliance checks all in one place. 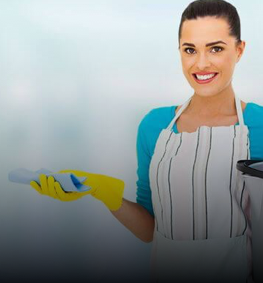 Trusted by over 1200 Businesses, Government & Community Services. 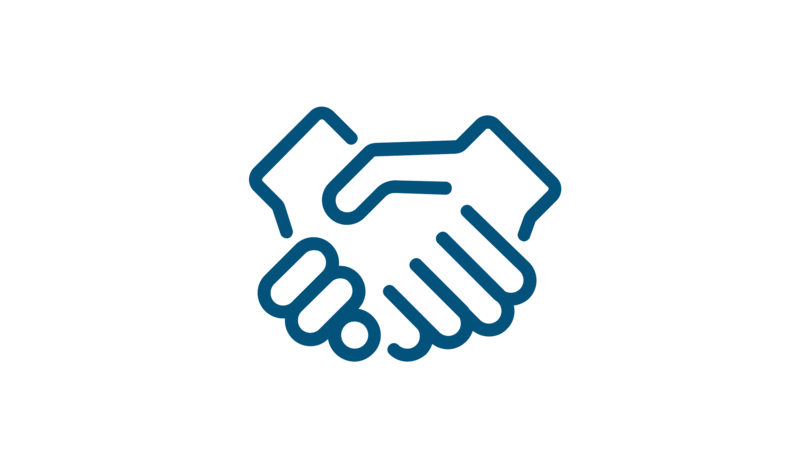 Our products provide you with a more efficient and complete solution for Background checks, licence & qualification management and Compliance checks all in one place. Our extensive range of employment background checks and candidate screening services can help your organisation easily control, process and manage verification checks all in one place. 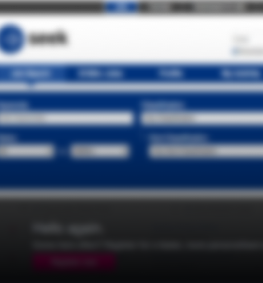 User-friendly online form, providing candidates with a positive online experience. 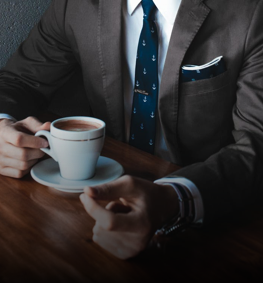 Easily verify and assess the background, credentials and integrity of any type of candidate. International reach in over 140 countries. Integration via REST API for large volume checks. Right To Work – VEVO Checks – just got a whole lot easier. 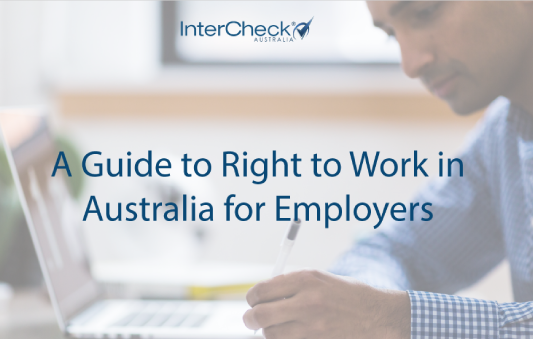 InterCheck automates the administration of ‘Right to work’ Visa Checks – all on one platform. We can submit the checks for you and take away the administration constraint. Automatic re-checking & expiry alerts – keep on top of your obligations & stay compliant. 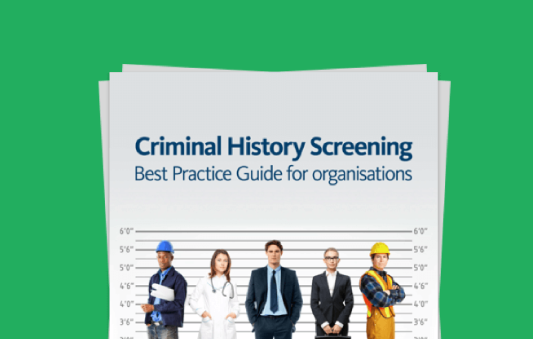 Conduct the checks at any point of your recruitment process or employment lifecycle. 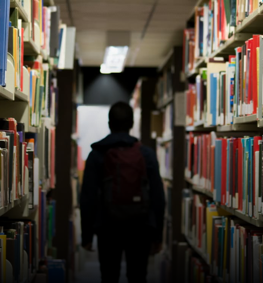 Our system allows any online platform or organisation to securely track and manage employees licences, qualifications & credentials all on one platform. 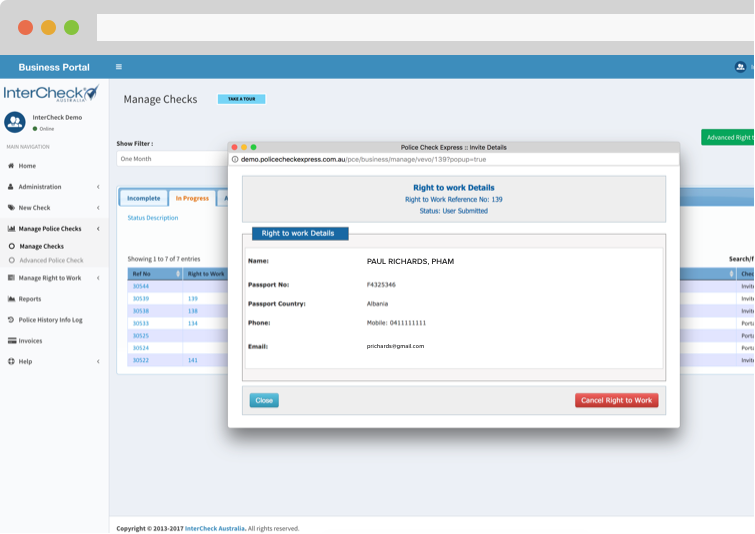 Manage licence renewals with automatic notifications. We provide dynamic verification badges for sharing economy platforms. 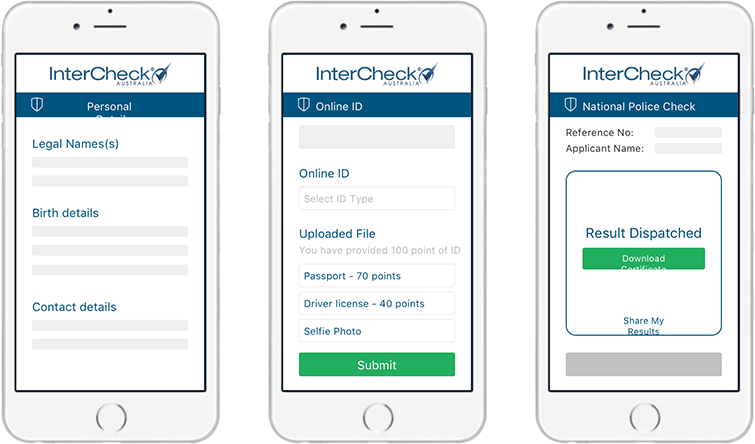 Our Police Check Express platform helps businesses, not-for-profits and Government to easily process & control police checks all in one online platform. 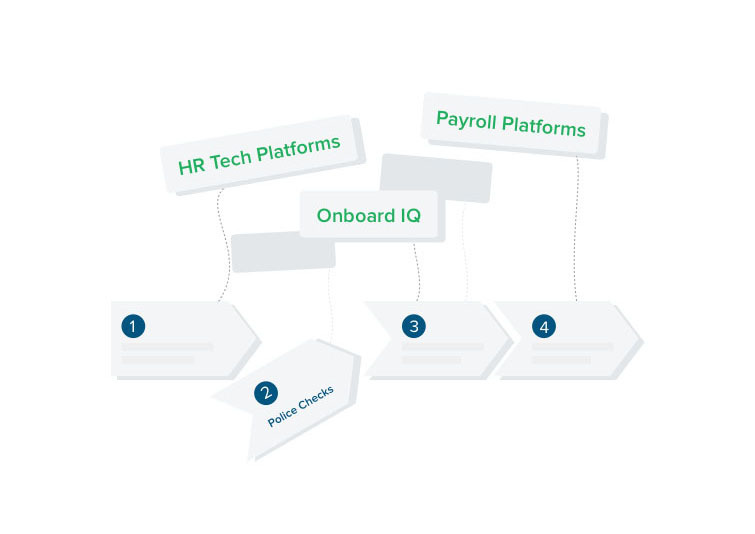 Whether you have an existing program or you’re looking to start, our solutions can be tailored to fit with your own HR processes. Real-time monitoring – customised reports. A streamlined process that reduces administration constraints. Built-in Compliance & Fair Hiring Tools. 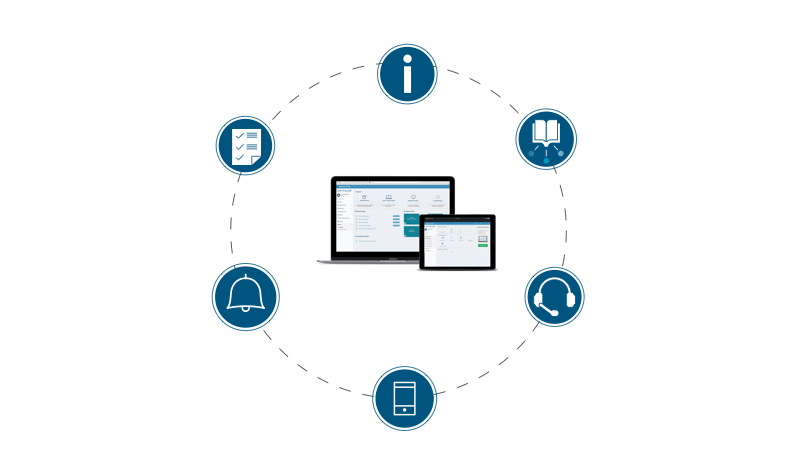 Integrate with most leading ATS and HRIS platforms. 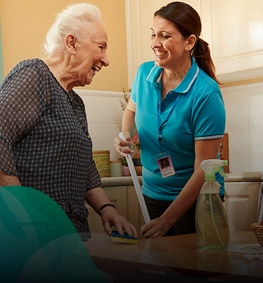 Do you have more than 100 checks a year and want to know more how we can help? 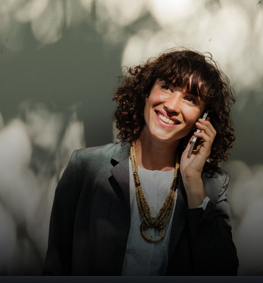 Our Support 360 is unmatched in the industry, with our expert support team ready to help on the phones, instant chat or email. 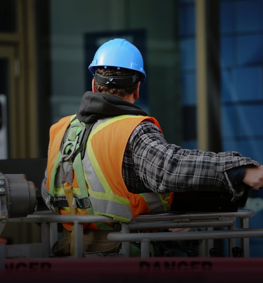 InterCheck can work closely with you to ensure a watertight fit with your own HR processes. 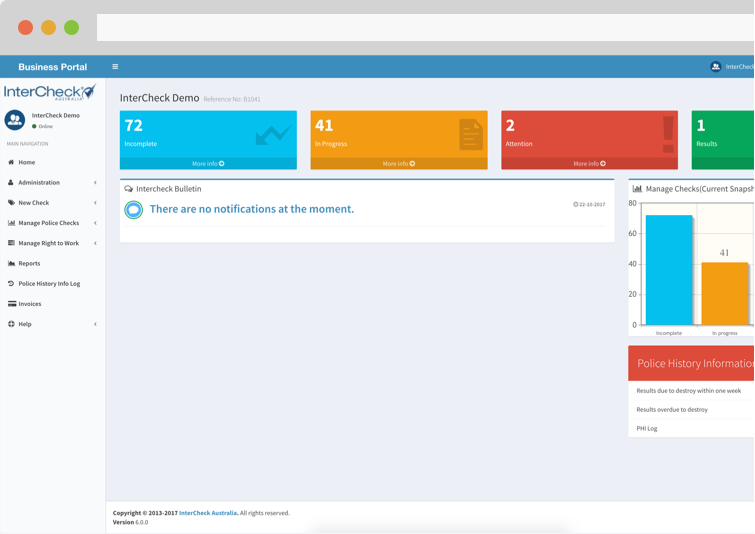 RESTful API provides access control, data encryption and firewalls for secure, instant background checks. Set up in just one minute. Background Checking tools helping you build trust within your platform and the community without compromising growth. 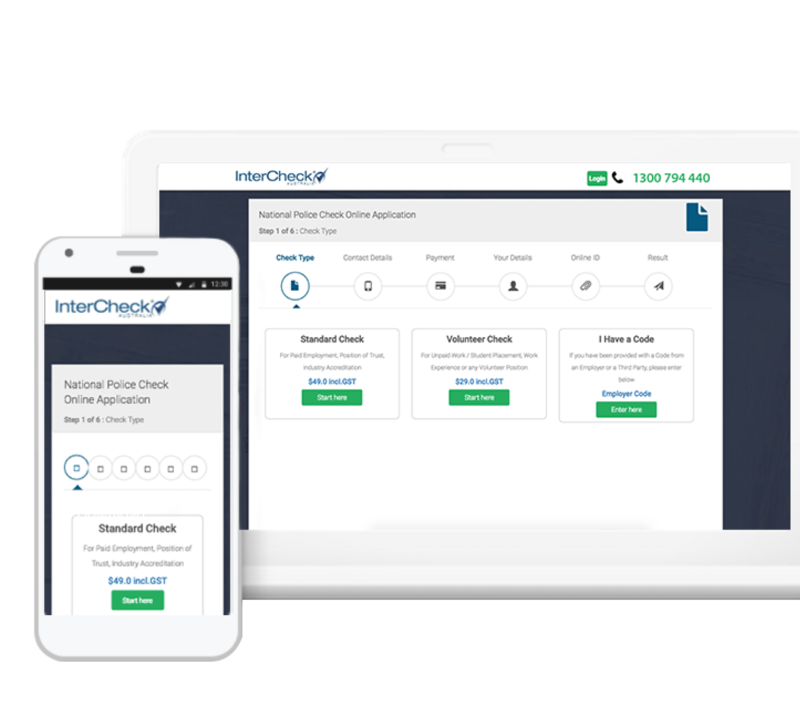 Background Checking tools helping you streamline your compliance checks, reduce risks & make the screening process much easier. Get your drivers compliant and out on the road without any complications. Get your personal background checks pain free and then easily store, manage and control them from our platform. 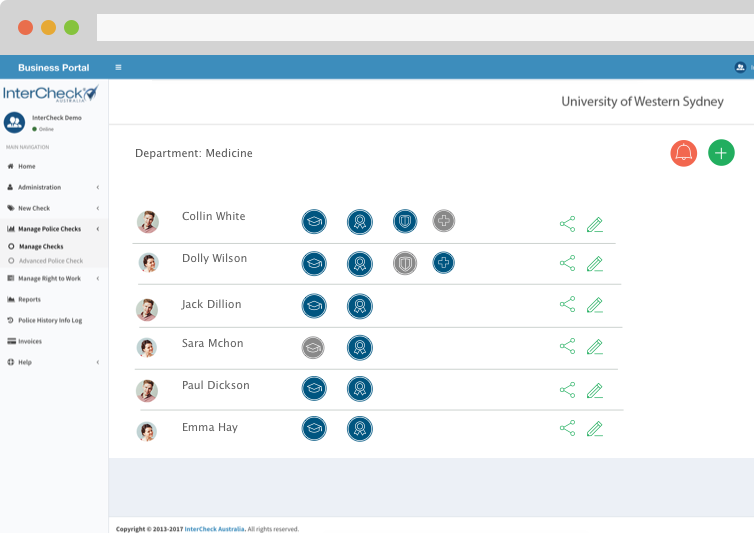 Our platform helps students & education staff to complete, manage & store all their compliance checks in one place. 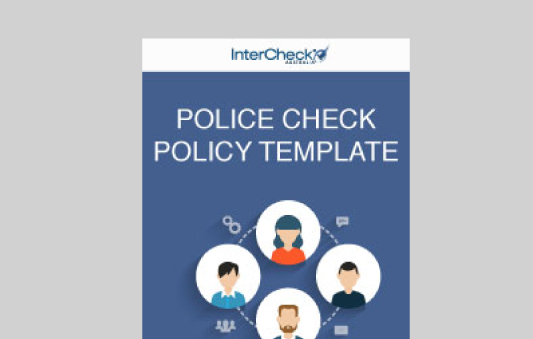 Background Checking tools helping you build trust in your community and stay compliant. 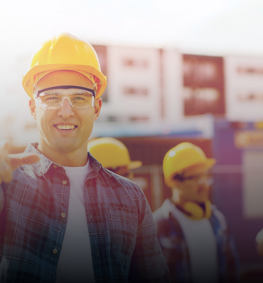 Background Check solutions that can fit tight with your own recruitment processes. 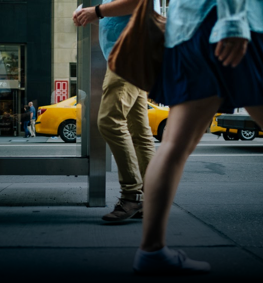 Our background checking solutions can help you build trust with your customers and take the pain out of the screening process. Our checks make the screening process easy and pain free so your team stays compliant and gets on with what they do best. 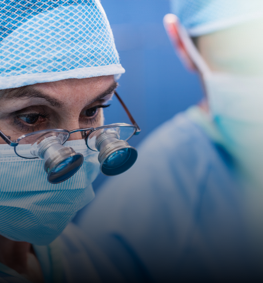 Our screening tools can help streamline compliance checks and get med staff work-ready fast. 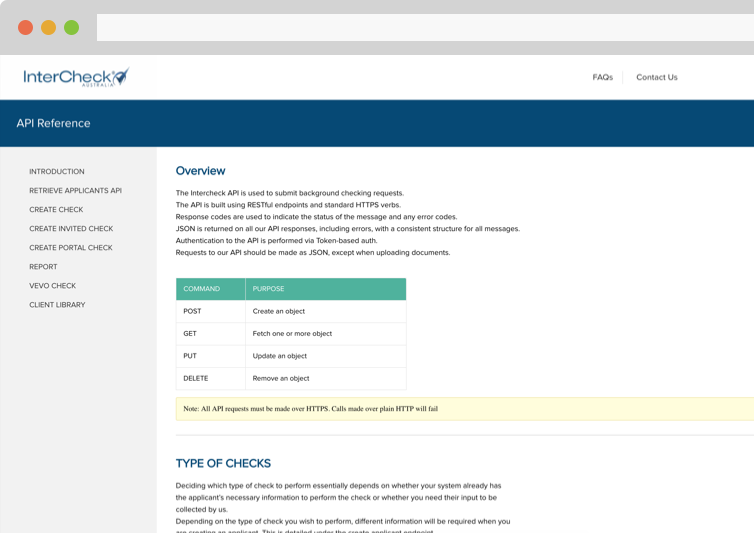 Easily integrate our screening tools, so you can add more value to your platform, clients & job seekers.